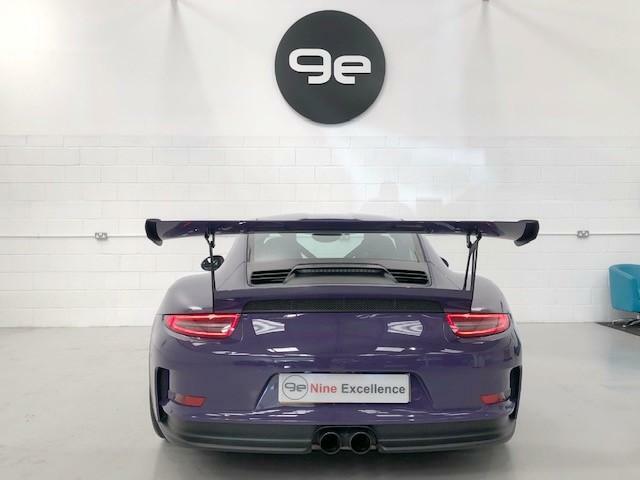 Additional information Nine Excellence are proud to present this very high specification stunning UltraViolet 991GT3RS PDK registered September 2015. 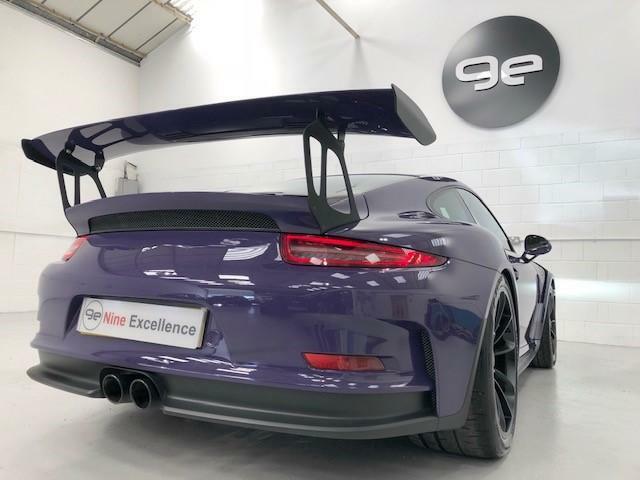 The car comes with the balance of a two year warranty till May 2020 and is ready to hit the road, track or just to look stunning on your driveway. UltraViolet is in our opinion the best colour that came out on this car and looks gorgeous in the flesh. 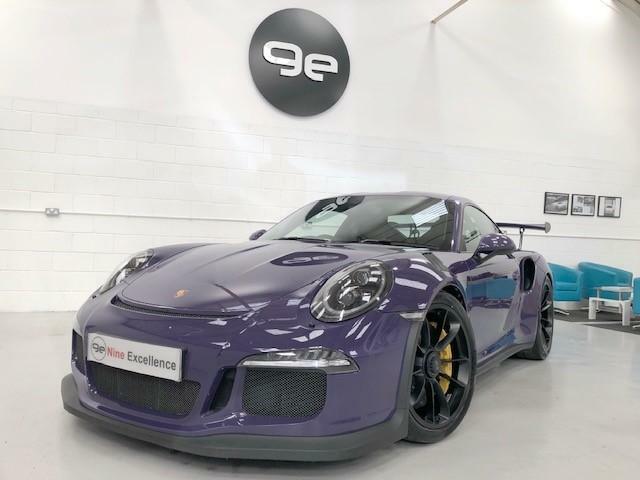 The car comes with a high number of options in addition to the standard Clubsport package including Carbon Ceramics (PCCB), essential Front Lift system and has been professionally detailed and part wrapped in paint protection film to protect the UltraViolet exterior. It is stunning in the flesh and viewing is highly recommended. 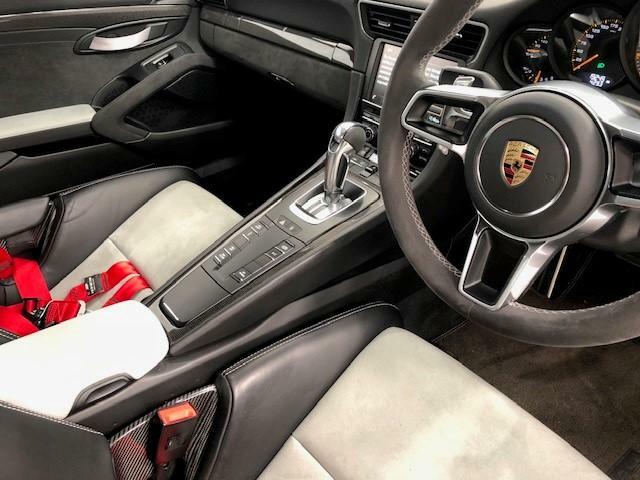 Inside the car, comes with 918 bucket seats with GT Silver Alcantara Inserts, the GT Silver is carried out throughout the cabin with stitching as is alcantara, 6 point harnesses, Alcantara Roof Lining and Alcantara Steering wheel with yellow 12 oclock trim, Carbon Fibre interior package including doors, door entry, centre console and Dashboard, 20" Centre lock GT3RS Wheels painted in Matte Black with new Pirelli Trofeo R tyres, TPMS, PTV with electronic rear diff, Track app, PASM, PCM3 with Navigation, bluetooth and DAB. The front and main parts of car have been protected by Paint Protection Film. The car sits on the premium Pirelli Trofeo R tyres. 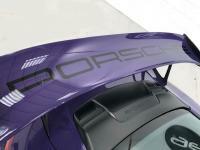 The car is supplied unmodified other than tyres and geometry and is ready for immediate use. All original panels, full documentation, two sets of keys. Porsche launched the RS version of the 991 GT3 at the Geneva Motor Show in 2015. Compared to the 991 GT3, the front fenders are now equipped with louvers above the wheels and the rear fenders now include Turbo-like intakes, rather than an intake below the rear wing. The roof is made from magnesium. 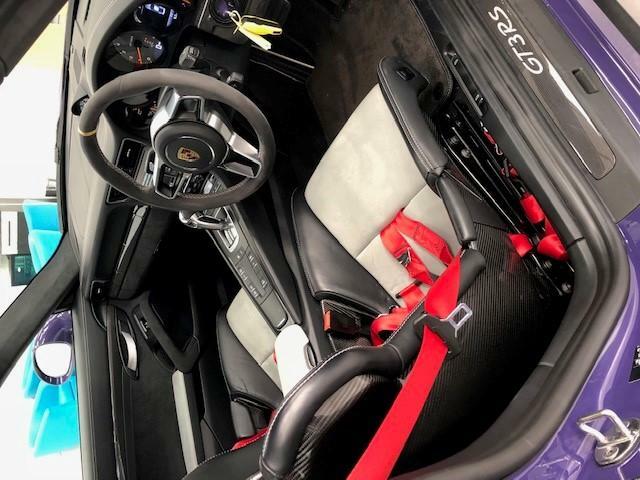 The interior includes full bucket seats (based on the carbon seats of the 918 Spyder), carbon-fibre inserts, lightweight door handles and the Club Sport Package as standard (a bolted-on roll cage behind the front seats, preparation for a battery master switch, and a six-point safety harness for the driver and fire extinguisher with mounting bracket). 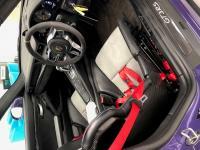 The car was nominated as one of the britain's best driver's car 2014 by Autocar magazine. The 3.8-litre unit found in the 991 GT3 is replaced with a 4.0-litre unit with 500 horsepower and 339 pound-feet (460 N·m) of torque. The transmission is PDK only. 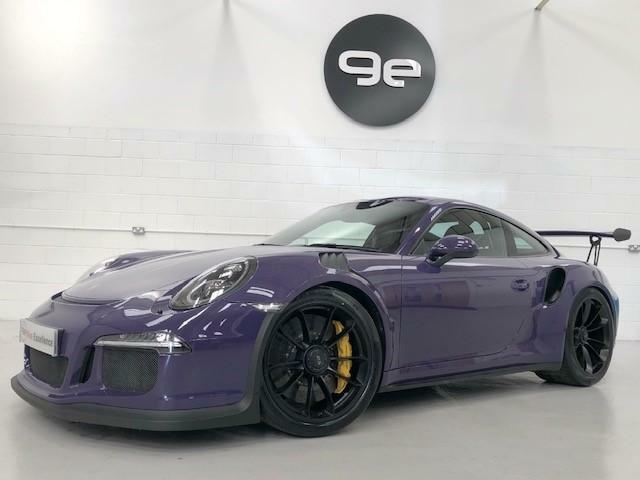 The drivetrain delivers 0-62 mph (0-100 km/h) in 3.3 seconds (0.6 seconds quicker than the 997 GT3 RS 4.0) and 0-124 mph (0-200 km/h) in 10.9 seconds. 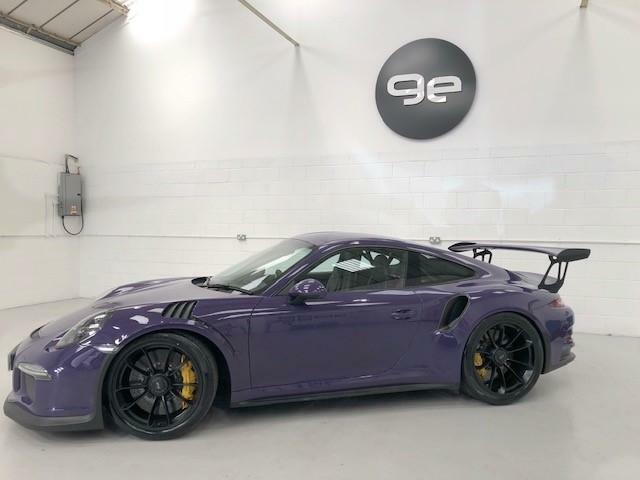 The 991 GT3 RS also comes with functions such as declutching by "paddle neutral" — comparable to pressing the clutch with a conventional manual gearbox –- and Pit Speed limiter button. As with the 991 GT3, there is rear-axle steering and Porsche Torque Vectoring Plus with fully variable rear axle differential lock. The Nürburgring Nordschleife time is 7 minutes and 20 seconds.